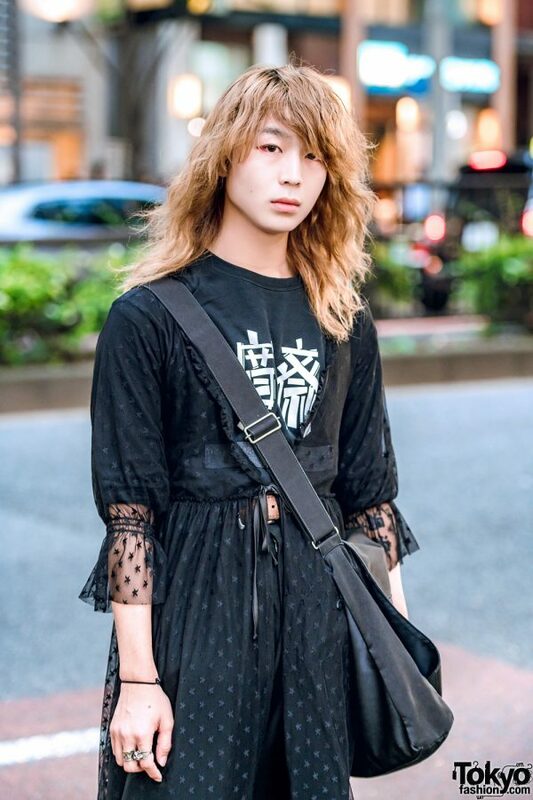 We met Saga, the 20-year-old fashion college student whose interesting streetwear looks make him a familiar personality on the Harajuku streetwear scene. 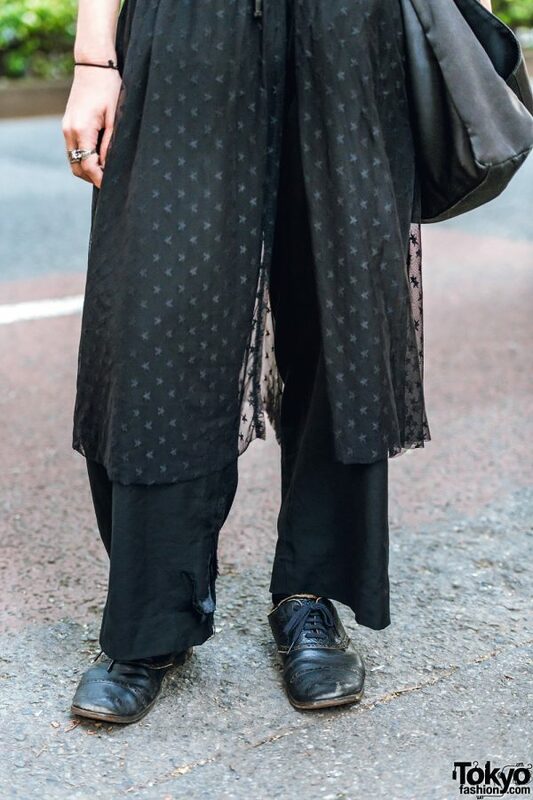 Sporting long curly hair, Saga’s all black look features a resale black sheer lace overcoat, worn over a black t-shirt with white kanji prints from Kansai Yamamoto, and paired with black wide leg pants from Christian Dada. 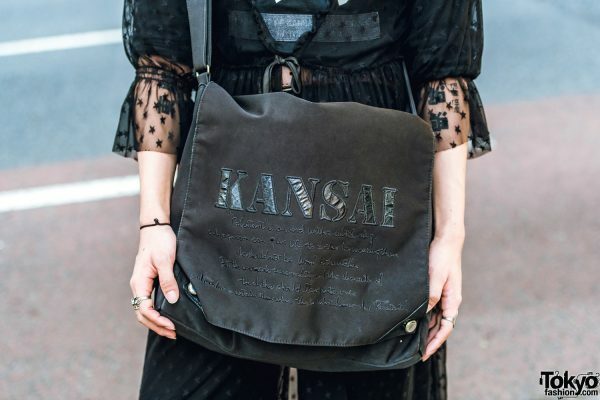 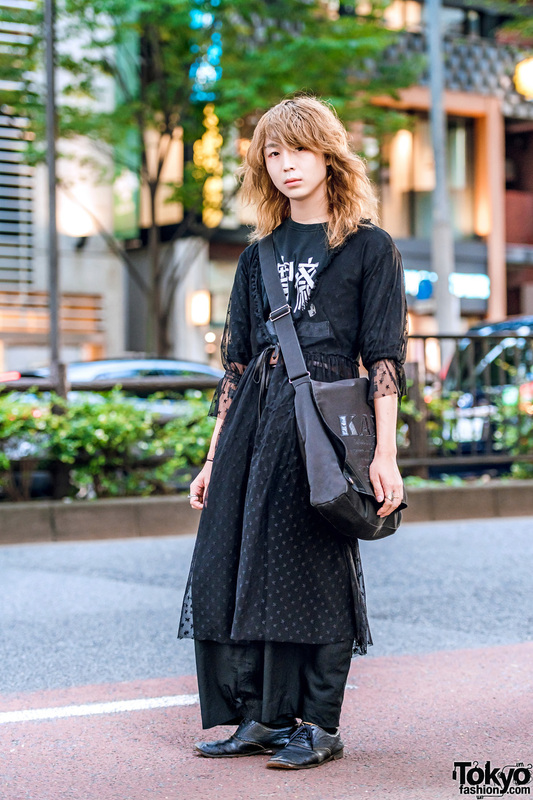 Black leather lace-up loafers from Comme des Garcons, a black crossbody bag from Kansai Yamamoto, and multiple silver knuckle rings finished off Saga’s minimalist style. 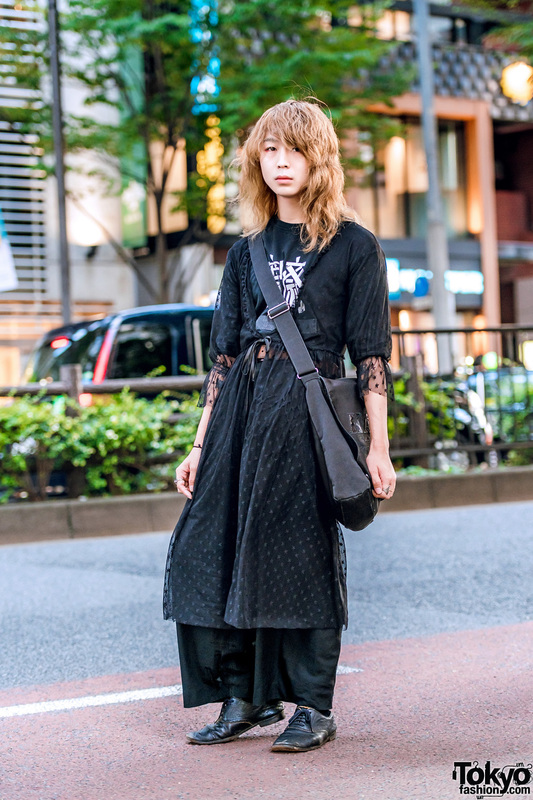 Kansai Yamamoto is Saga’s fashion favorite, and he is active on Twitter and Instagram.